Northwest Arkansas Regional Airport (XNA) will start to offer nonstop flights to Denver for as low as $39 starting June 27, officials said. Jonathon Nield, senior manager of network planning for Denver-based low-cost carrier Frontier, announced Monday (April 8) the airline would offer the flights on a 186-seat Airbus A320 Family aircraft on Tuesdays, Thursdays and Sundays. Tickets for the $39 introductory rate must be purchased by April 10, and the fares after the initial rate will vary depending on how quickly seats are booked. 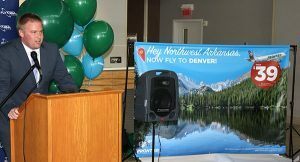 The service also will allow for a connection to other nonstop flights from the hub in Denver, and tickets can be purchased on the company’s website allowing for the other connecting flights. Nield expects the leisure travelers who had previously been traveling to other airports with lower fares such as Tulsa to start to travel more from XNA. 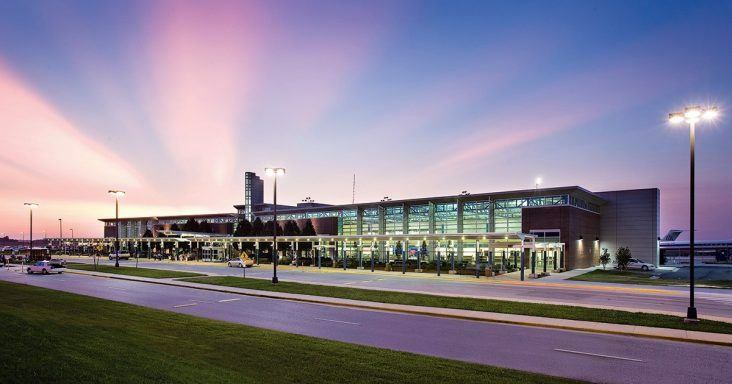 About 30% of XNA passengers are leisure travelers, while more than 60% travel for business. Nield said the carrier typically doesn’t target large corporations, but the new service could benefit smaller companies and startups looking for lower fares. If he were to fly from Denver to XNA using existing carriers, he said the round trip price would have been about $840. According to the Frontier website, a roundtrip flight from XNA to Denver is $298 for an adult, departing XNA June 27 and returning June 30. 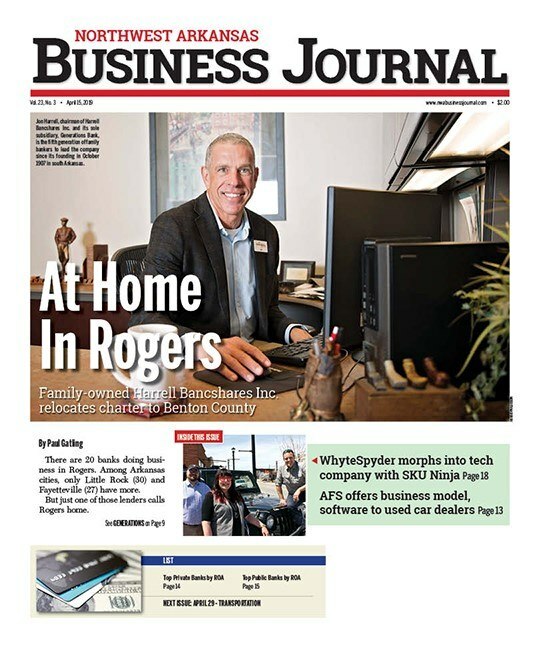 Kelly Johnson, chief operating officer for XNA, has been working to attract Frontier to XNA for eight years. Jonathon Nield, senior manager of network planning for Denver-based low-cost carrier Frontier, speaks during a news conference Monday (April 8) at XNA. Frontier will start to offer the flights to Denver on June 27. Because Denver is an existing market for XNA, the airport can waive all rates, fees and charges for one year and offer an advertising incentive up to $100,000, Johnson said. The Federal Aviation Administration allows for specific parameters airports can offer. The flights to Denver will depart XNA at 5:47 p.m. and arrive in Denver at 6:50 p.m. The flights to XNA will depart Denver at 1:58 p.m. and arrive at XNA at 4:57 p.m. Link here for flight schedules. When asked if passengers can fly their bicycles, Nield said they can for an extra fee. According to the carrier, the checked bike fee is $75 per flight. XNA marks the 100th destination that Frontier will serve from Denver.